Biocosmetics Laboratory - ADVANCE CO., LTD.
Cosmetics have always existed and been developed alongside human history, ceaselessly providing beauty, health and healing for human society. Today, with a variety of cosmetics on the market, their social roles and meanings are becoming greater than ever before. In other words, today, products with distinct functions and efficacy are being chosen by consumers over conventional cosmetics that only create moods. Therefore, even R&D activities, not just product development, require very sophisticated applied technologies and development capacity. Our laboratory is engaged in research and product development, by taking advantage of chemistry and pharmacy on the basis of leading-edge biotechnology. Particularly, natural cosmetics and quasi drugs developed with due consideration for the activities of skin flora (Benefical bacteria) outclass others. Those include basic facial skin-care, makeup, body-care, hair-care, aesthetic, masking, sun-care (UV cut, foundation, etc. ), soap, and baby-care products. 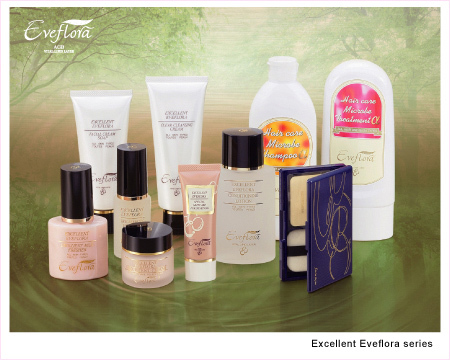 Besides, we also develop products not classified into any existing cosmetic categories. Besides product development, what we consider essential and put emphasis on is basic research and applied development studies, as well as various performance/safety tests, including antimicrobial activity testing of materials and products. One such effort is entitled “Skin flora-based research into cultures beneficial to the skin”. The antimicrobial activity testing comprises general microbiological examination and other relevant microbial and challenge tests of materials and products. Thus, our laboratory performs R&D activities in all aspects regarding cosmetics and quasi drugs.